Australia is fringed by more than 8,000 islands, each of them unique and filled with unbelievable wildlife. 8000 islands can be a lot to choose from; we created a list of top islands of Australia to visit and explore. Fraser Island, the world’s largest sand island and also a World Heritage site, is found off the coast of Queensland. 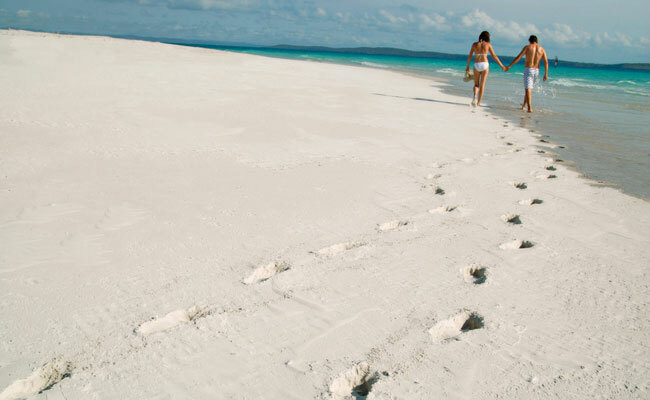 To get to Fraser Island, you can fly form Brisbane or cruise on a boat from Rainbow Beach. Fraser Island offers a plethora of adventures to choose from, like hiking the dunes, exploring the shipwreck of Maheno, or watching the migration of humpback whales. On top of the fun, Fraser Island has 4-star accommodations, such as the Kingfisher Bay Resort, to choose from. The Great Barrier Reef, also a World Heritage site, has hundreds of gorgeous islands and coral atolls. Lizard Island, as pictured below, is well known for it’s clear waters and luscious greenery adorning the sandy beaches. If you prefer exploring the outdoors, bush camping on Fitzroy Island is an unforgettable experience. No matter where you go, the Great Barrier Reef islands offer adventure for all, from snorkeling and sea kayaking to guided wilderness treks landing on almost everyones bucket-list. 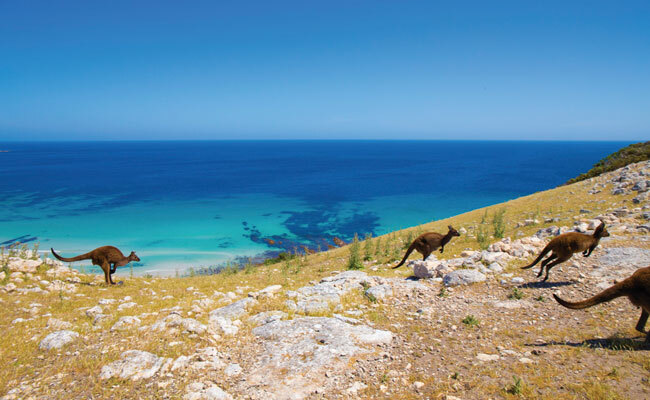 Kangaroo Island is an ecological haven for native Australian wildlife. Kangaroos, koalas, penguins, echidnas, and bird life all call this island paradise, home. Here you can walk among a colony of endangered sea lions or adore a sleepy koala. Don’t forget to take in the breathtaking scenery of the island, with its rugged cliffs, sheltered bays, native bush lands, and rolling hills of farmland, you’ll never have a dull moment of exploration. From wildlife adventures and coastal activities, to food and wine and historical guided walks, Kangaroo Island is a place to travel to! Located in the heart of the Great Barrier Reef, Hayman Island is the most northerly of the Whitsunday Islands. The Whitsundays have long been internationally recognized as one of the world’s most beautiful stretches of tropical coastline in the world. 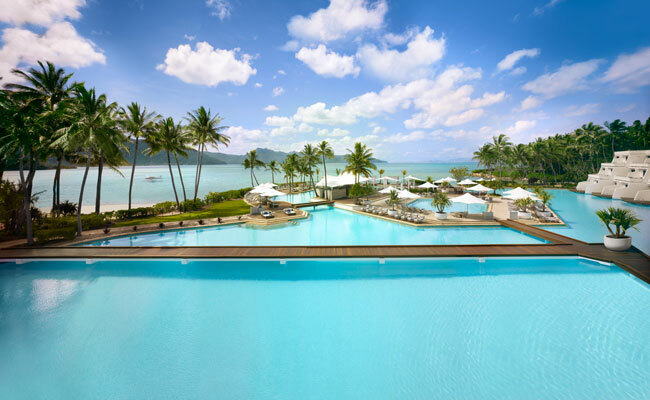 Hayman Island is a private island resort, with the most luxurious and elegant of accommodations; including expansive pools, lush gardens and pristine white sand beaches. 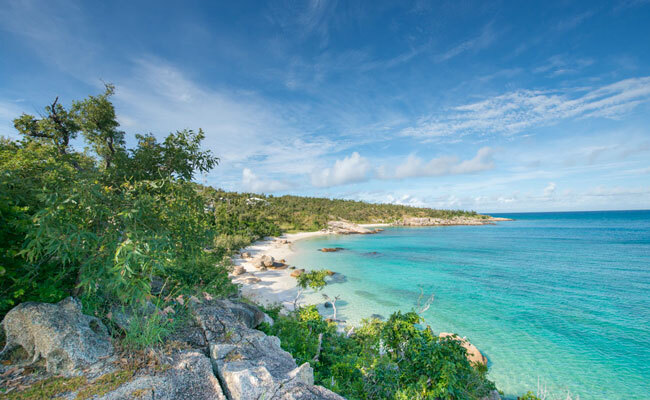 If you are wanting a more adventure-packed vacation, Hayman also offers activities like snorkeling, diving, excursions by seaplane, nature hikes and bush walks. At the Hayman Islands, you can have it all! Visiting Tasmania is a one-of-a-kind experience full of history, natural beauty, and amazing wine. Tasmania is still a wild place, more than a fifth of the island is wilderness (and is also a celebrated World Heritage site). Tasmania was settled by a rough assortment of convicts, miners, and whalers who’ve left traces of their history at scenic sites around the island. While visiting Tassie, you can explore the forests, cliffs, mountains, and white sand bays; or stay up late to trek the Tasmanian devil. 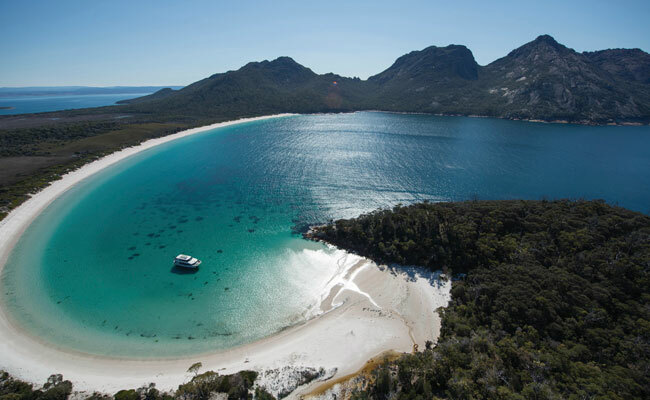 If you head east, you’ll find Freycinet National Park and Wineglass Bay where you can kayak, swim, or scuba-dive right off the sandy shores. You’ll also find a plethora of hiking and gorgeous cruises. Ready to begin planning an Australian Island vacation of you own? Browse our Australian travel packages, or call us at 888-367-0933 to start planning the adventure of a lifetime!